WATERinMOTION® Original Wautoship grants you immediate access to the latest wave kit release. The sign-up fee grants you immediate access. You are then automatically enrolled in the latest training materials every 3 months and will not be billed until the next release. Release dates are as follows: March 1, June 1, September 1 and December 1. We currently accept ONLY Visa or MasterCard payment options at this time. Only WATERinMOTION® certified instructors who teach at licensed WATERinMOTION® clubs and facilities may purchase WATERinMOTION® kits. 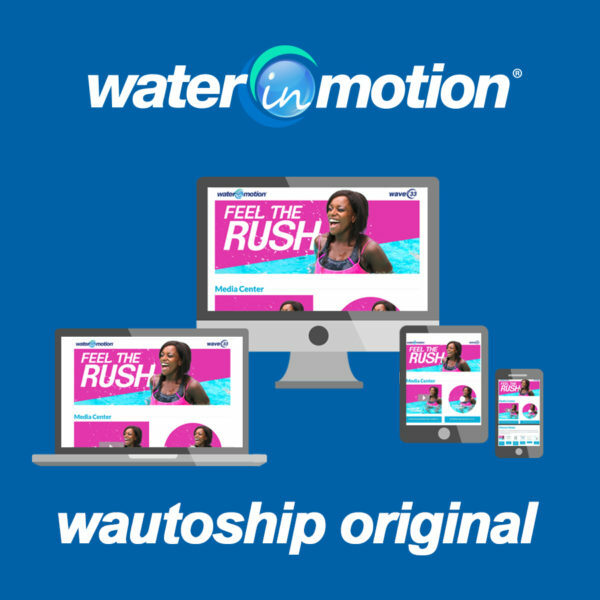 Each and every individual must sign up for Wautoship at the WATERinMOTION® certification. Once enrolled, the instructor will automatically receive the latest WATERinMOTION® kit each quarter (every 3 months).